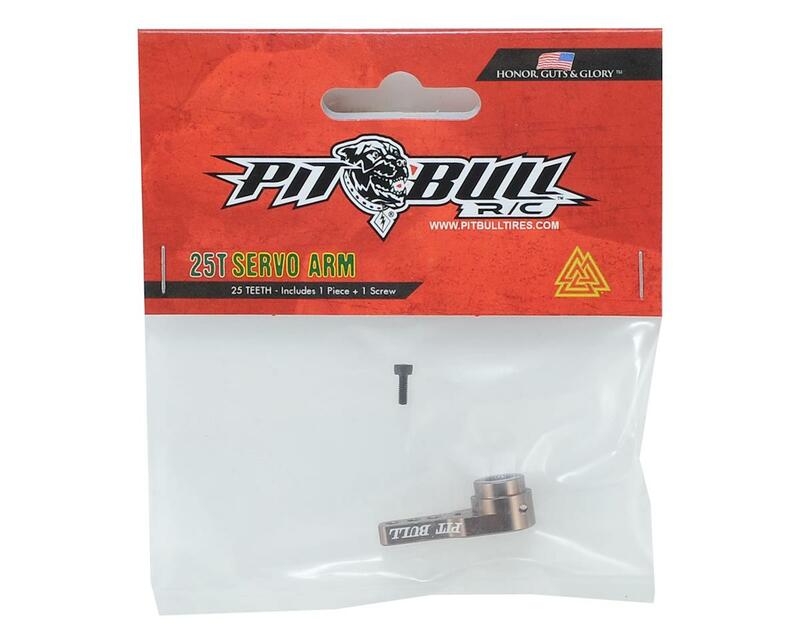 Pit Bull Aluminum Servo Arms were developed to give enthusiasts a strong Servo Horn that can handle abuse, without being bulky so it will clear most other parts without having to cut it down to make it fit. These horns are stout, exquisitely machined, hard anodized, and battle ready. Arm measures 6.5mm wide at the drag link mounting holes, and 4mm thick. 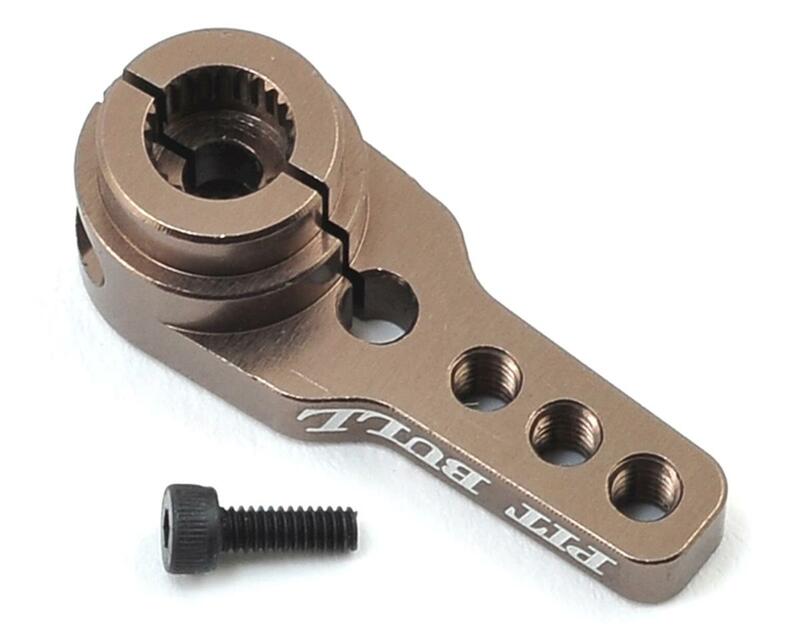 Mounting shaft measures 10mm tall, and 12mm wide. Package includes one arm and clamp screw.